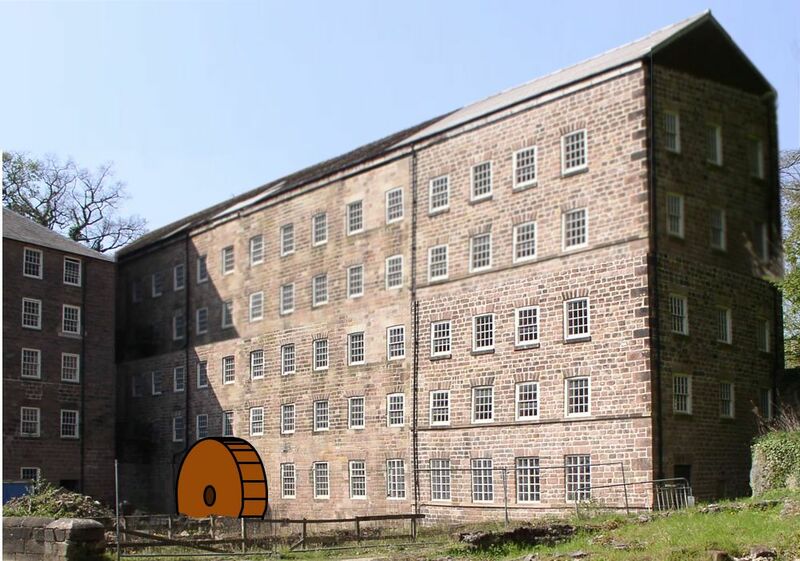 Photoshop of the first cromford mill by Richard Arkwright. The burned down top two floors have been photoshopped in (original height 5 floors, current height 3 floors). The waterwheel has also been added. Based on File:Cromford 1771 mill.jpg by chevin and released in the public domain. Thank you, Chevin!